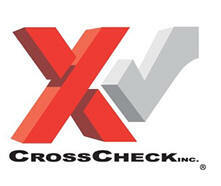 faxing it to 215-489-7880 or email to sales@nobouncedchecks.com. please select: I plan to use my own PC and the free CrossCheck virtual terminal along with the free loaner check imager. I would like to purchase a new Ingenico iCT220 terminal and use the free loaner check imager. To minimize spam please verify that you are a real person and not a robot. Simply type in the field below the password that you see written to the right.